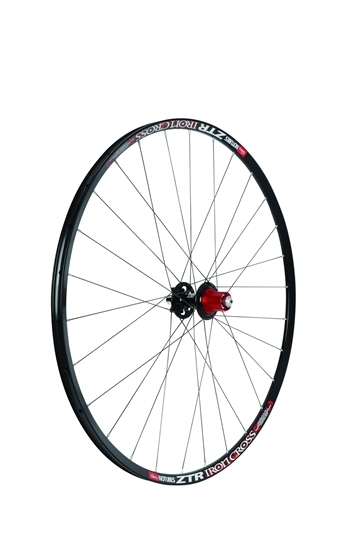 The Iron Cross disc rims are designed only for use with cyclocross tubeless tires and traditional cyclocross clinchers. They are now available in Comp, Team and Pro Versions and feature rims designed for superior burp resistance with low pressure tube-type cyclocross clinchers. 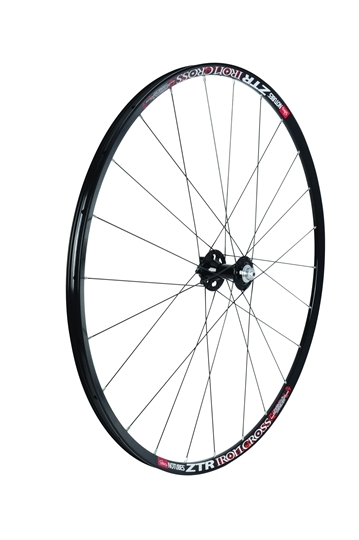 The Iron Cross Comp Wheelset is 1590g complete with our 3.30 disc hubs and offers plenty of durability and resilience to handle the wattage of torque of the most powerful riders with 32 spokes front and rear. 195lbs Rider Limit. The Iron Cross Team Wheelset is 1510g complete, and improves upon the original Editor’s Choice-winning 2012 Iron Cross by adding stainless steel bearing to our proven 3.30 disc hubs and a dropping to a lighter 24 and 28 spoke count. 185lbs Rider Limit. 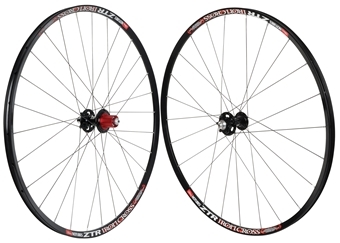 The Iron Cross Pro Wheelset is 1400g complete with our 3.30Ti disc hubs and DT Revolution spokes. 170lbs Rider Limit. As a dedicated ‘cross wheelset, the width of the Iron Cross rim means it’s optimized for common width cyclocross tires. It isn’t compatible with road tires, and tires outside the most common cyclocross widths will be very difficult to mount. The 20mm internal rim width provides superior tire performance and the stability necessary for wider cyclocross tires. Maximum air pressure of 45psi.